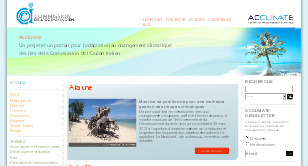 Les îles de la COI (Union des Comores, Madagascar, Maurice, France/Réunion, Seychelles) sont en première ligne face au changement climatique. Alors qu’elles contribuent de manière négligeable aux émissions de gaz à effet de serre, elles risquent de subir des dégâts énormes et potentiellement irréversibles au niveau de l’environnement, de l’économie et de la société. L’adaptation au changement climatique est donc pour elles une priorité absolue, nécessitant la mise en place d’actions appropriées et un soutien important de la part de la communauté internationale. Consciente de cette réalité, la Commission de l’Océan Indien a lancé en 2008 un projet régional d’adaptation au changement climatique, intitulé Acclimate. Premier projet de ce genre dans le sud-ouest de l’océan Indien, Acclimate est cofinancé par le Fonds Français pour l’Environnement Mondial (FFEM), le Ministère français des Affaires étrangères et européennes (MAEE / Agence Française de Développement - AFD) et la Région Réunion. 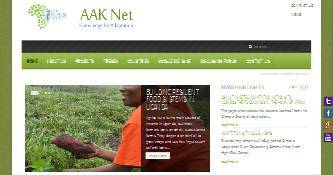 The Africa Adaptation Knowledge Network (AAKNet) provides the following services: Aggregating knowledge in addressing pertinent climatic risks, shared across region and across countries in addressing short, medium and long term adaptation needs; Harnessing knowledge for strategic planning processes including knowledge generated as pilots and also knowledge managed by other platforms; Providing tailored support in knowledge needs structured and packaged in a useable format to serve strategic planning processes; Harnessing knowledge platforms in powering strategic planning of regional frameworks like AMCEN. Building an alliance and coordination of knowledge platforms in the continent with the common purpose of supporting climate change response. 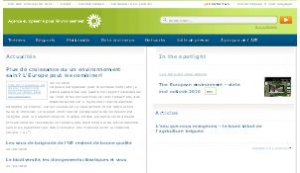 La Agencia Europea de Medio Ambiente (AEMA) es un organismo de la Unión Europea. Su labor es ofrecer información sólida e independiente sobre el medio ambiente. Es la fuente principal de información para los responsables del desarrollo, la aprobación, la ejecución y la evaluación de las políticas medioambientales, y también para el gran público. En la actualidad, la AEMA tiene 32 países miembros. The purpose of the Agricultural Meteorology Programme (AGMP) is to support food and agricultural production and activities. 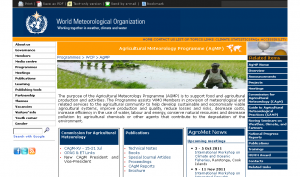 The Programme assists WMO Members in provision of meteorological and related services to the agricultural community to help develop sustainable and economically viable agricultural systems, improve production and quality, reduce losses and risks, decrease costs, increase efficiency in the use of water, labour and energy, conserve natural resources and decrease pollution by agricultural chemicals or other agents that contribute to the degradation of the environment. The Arctic Monitoring and Assessment Programme is one of five Working Groups of the Arctic Council. The AQUEDUCT Water Risk Atlas combines twelve water risk indicators to create overall maps of where and how water risks may be prevalent. The Associated Programme on Flood Management (APFM) is a joint initiative of the World Meteorological Organization (WMO) and the Global Water Partnership (GWP). 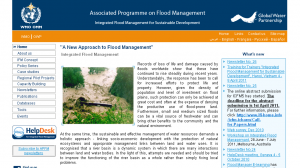 It promotes the concept of Integrated Flood Management (IFM) as a new approach to flood management. The programme is being financially supported by the governments of Japan and Switzerland. • Organización de las reuniones de la Asamblea, del Consejo Técnico de Planificación y Programación y de los Grupos de Trabajo propios del CONA, en donde se discuten temas de interés, problemas y otros aspectos relacionados con la investigación en ciencias del mar. 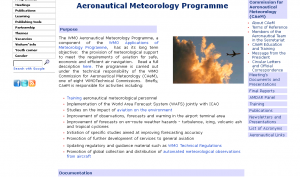 This web site is provided and maintained by the Commission for Aeronautical Met Expert Team on Education and Training (CAeM ET/ET), a voluntary group convened under the auspices of the Aeronautical Meteorology Programme (AeMP) of the World Meteorological Organization. 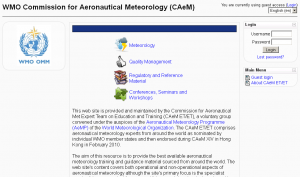 The CAeM ET/ET comprises aeronautical meteorology experts from around the world as nominated by individual WMO member states and then endorsed during CAeM XIV in Hong Kong in February 2010. 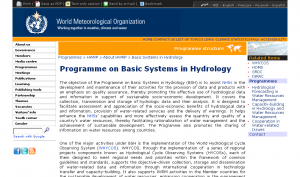 The main activities of the Commission for Basic Systems (CBS) are related to the development, implementation and operation of integrated systems for observing, data processing, data communication and data management, and to the provision of public weather services, in response to requirements of all WMO Programmes and opportunities provided by technological developments. 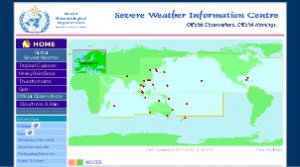 CBS is the lead Technical Commission for the overall World Weather Watch Programme (WWW), the WMO Space Programme and the Public Weather Services Programme. 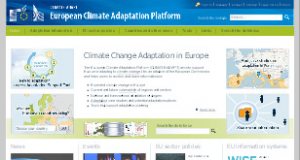 The Commission for Climatology advises and guides the activities of the World Climate Programme, through the World Climate Applications and Services Programme, and the World Climate Data and Monitoring Programmewhile providing support to many activities under the framework of the Climate Agenda. La Commission mixte internationale s'emploie à prévenir et à résoudre les différends entre les États-Unis d'Amérique et le Canada en vertu du Traité des eaux limitrophes de 1909 et veille au bien commun des deux pays en tant qu'organe indépendant et objectif conseillant les deux gouvernements. This annual meeting is referred to as the Conference of the Parties serving as the meeting of the Parties to the Kyoto Protocol (CMP). However, Parties to the Convention that are not Parties to the Protocol are able to participate in the CMP as observers, but without the right to take decisions. Countries and national platforms are key partners to implementing disaster risk reduction strategies at a country level to help build resilient communities. 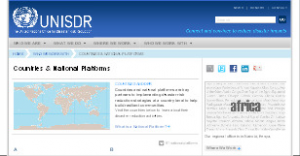 Visit the countries [...] to learn about their disaster reduction activities. 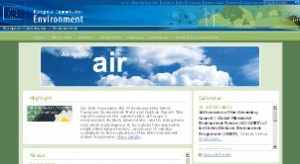 The database contains results of urban outdoor air pollution monitoring from almost 1100 cities in 91 countries. Air quality is represented by annual mean concentration of fine particulate matter (PM10 and PM2.5, i.e. particles smaller than 10 or 2.5 microns). 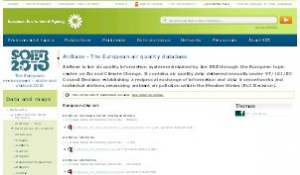 This database contains information about environmental resources and services provided by more than 350 public and academic libraries, environmental information centres, government institutions, and other organisations in 15 countries of Central and Eastern Europe. Driasles futurs du climat a pour vocation de mettre à disposition des projections climatiques régionalisées réalisées dans les laboratoires français de modélisation du climat (IPSL, CERFACS, CNRM-GAME). Les informations climatiques sont délivrées sous différentes formes graphiques ou numériques. The European Pollutant Release and Transfer Register (E-PRTR) is the new Europe-wide register that provides easily accessible key environmental data from industrial facilities in European Union Member States and in Iceland, Liechtenstein and Norway. 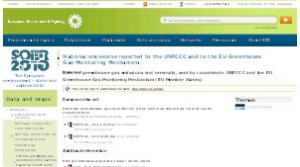 It replaces and improves upon the previous European Pollutant Emission Register (EPER). ECLAC, the Economic Commission for Latin America and the Caribbean, is one of 5 regional commissions of the United Nations, each of which is concerned with assisting and promoting economic and social development in a major region of the world. 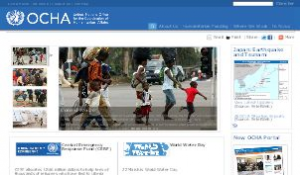 On this portal, you can access to reports, books and journals but also to statistics items dealing with social development. The Education and Training Office manages the Education and Training Programme, which serves as an advisory body on all aspects of technical and scientific education and training in meteorology and operational hydrology. 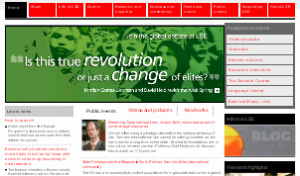 "Eldis is one of a family of knowledge services from the Institute of Development Studies (IDS), Sussex. 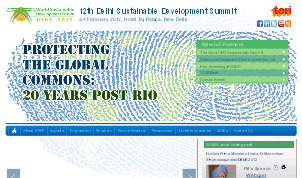 Its aim is to share the best in development policy, practice and research. It contains more than 22,000 summarised documents from over 4,500 development organisations - all available free to download." The main objective of the database is to serve the purposes of humanitarian action at national and international levels. 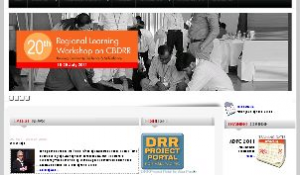 It is an initiative aimed to rationalise decision making for disaster preparedness, as well as providing an objective base for vulnerability assessment and priority setting. 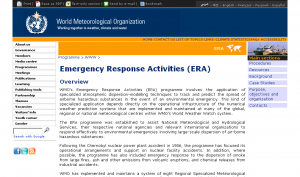 WMO's Emergency Response Activities (ERA) programme involves the application of specialized atmospheric dispersion-modelling techniques to track and predict the spread of airborne hazardous substances in the event of an environmental emergency. 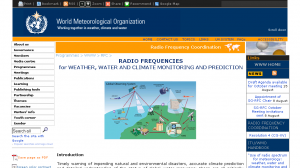 This kind of specialized application depends directly on the operational infrastructure of the numerical weather prediction systems that are implemented and maintained at many of the global, regional or national meteorological centres within WMO's World Weather Watch system. 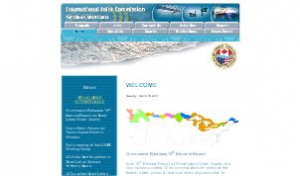 The web service takes the form of online maps, which can be manipulated by users. Without the need for any technical training, people can choose to add a huge variety of layers to the map – for example showing pollution, social development, economic factors, land use, transport and so on – to create new insights. 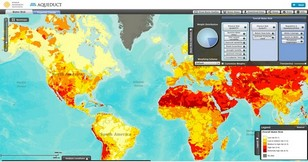 The creators of Eye on Earth hope to add other data visualisation functions in the future, alongside the mapping tools. Maps and other data can also be saved and shared through social media. The fifteenth session of the Commission for Basic Systems (CBS-XV) (Jakarta, Indonesia, 10-15 September 2012) agreed the BUFR editions 3 and the CREX edition 1 should be removed from the Manual on Codes, Volume I.2 (WMO-No. 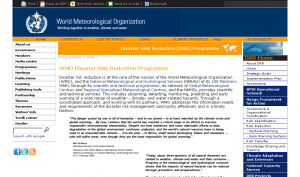 306) and retained on the WMO Website. GAWSIS is being developed and maintained by QA/SAC Switzerland in collaboration with the WMO GAW Secretariat, the GAW World Data Centres and other GAW representatives to improve the management of information about the GAW network of ground-based stations. 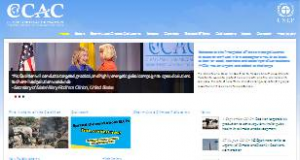 The goal is to provide the GAW community and other interested	people with an up-to-date, searchable data base of site descriptions, measurements programs and data available, contact people. GEMS/EAU est un programme multidisciplinaire dans les sciences de l’eau qui se concentre sur la qualité de l’eau douce dans le monde. Ses principales activités sont la surveillance, l’évaluation et le renforcement des capacités. Il est mis en œuvre par plusieurs organismes des Nations Unies actifs dans le secteur de l’eau ainsi que par un certain nombre d’organisations réparties à travers le monde. 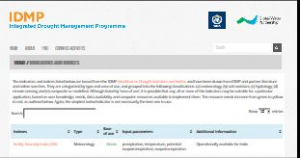 The United Nations GEMS/Water Programme provides scientifically-sound data and information on the state and trends of global inland water quality required as a basis for the sustainable management of the world's freshwater to support global environmental assessments and decision- making processes. 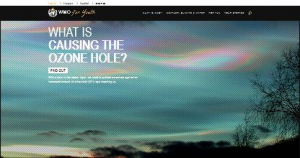 Geo-engineering the climate? What benefits? What impacts? As climate change impacts become more apparent and global negotiations to reduce greenhouse gas emissions are prolonged, have we adequately considered actions that complement carbon emission reductions, such as climate engineering or geoengineering? Geoengineering refers to deliberate large-scale interventions in the Earth’s climate system in order to moderate global warming. Do potential gains from using geoengineering to slow or contain climate change impacts outweigh possible negative impacts on people and biodiversity? The Group on Earth Observations is coordinating efforts to build a Global Earth Observation System of Systems, or GEOSS. 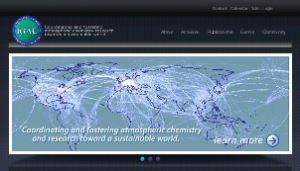 The Global Atmosphere Watch (GAW) programme of WMO is a partnership involving 80 countries, which provides reliable scientific data and information on the chemical composition of the atmosphere, its natural and anthropogenic change, and helps to improve the understanding of interactions between the atmosphere, the oceans and the biosphere. 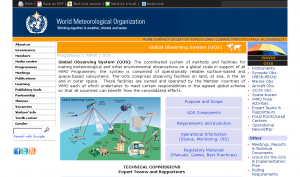 Global Observing System (GOS): The coordinated system of methods and facilities for making meteorological and other environmental observations on a global scale in support of all WMO Programmes; the system is comprised of operationally reliable surface-based and space-based subsystems. The GOS comprises observing facilities on land, at sea, in the air and in outer space. These facilities are owned and operated by the Member countries of WMO each of which undertakes to meet certain responsibilities in the agreed global scheme so that all countries can benefit from the consolidated efforts. ILOLEX est une base de données trilingue contenant les textes des conventions et recommandations de l'OIT, les listes des ratifications, les commentaires de la Commission d'experts et du Comité de la liberté syndicale, les réclamations, les plaintes, les interprétations, les études d'ensemble et d'autres documents. 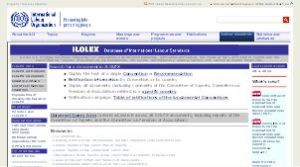 ILOLEX is a trilingual database containing ILO Conventions and Recommendations, ratification information, comments of the Committee of Experts and the Committee on Freedom of Association, representations, complaints, interpretations, General Surveys, and numerous related documents. - To develop outstanding research talent capable of understanding and exploring enlightened and effective Atmospheric sciences. - To further the advancement of Research in Ocean-Atmosphere by undertaking relevant scientific programmes. La Iniciativa SEED es una asociación global de acción para el desarrollo sostenible y la economía ecológica. SEED tiene por objeto respaldar la capacidad de dichos empresarios para ampliar o reproducir sus actividades y posibilitar que contribuyan a sus economías y comunidades locales, favoreciendo la gestión sostenible de los recursos naturales y los ecosistemas y combatiendo la pobreza, la marginación y la exclusión social. ressources naturelles et des écosystèmes, et en diminuant la pauvreté, la marginalisation et l’exclusion. 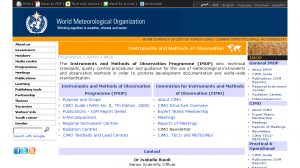 The Instruments and Methods of Observation Programme (IMOP) sets technical standards, quality control procedures and guidance for the use of meteorological instruments and observation methods in order to promote development documentation and world-wide standardization. The International Center for Water Economics and Governance in Africa (IWEGA) was established in May 2009 at the University Eduardo Mondlane in Maputo. Its mission is “to enhance the capacity of African researchers to conduct water economics and governance inquiry of relevance to African problems and increase the awareness of environmental and economic managers and policy makers about the role of water economics and governance for sustainable development”. The International Strategy for Disaster Reduction (ISDR) is a strategic framework, adopted by United Nations Member States in 2000, aiming to guide and coordinate the efforts of a wide range of partners to achieve substantive reduction in disaster losses and build resilient nations and communities as an essential condition for sustainable development. "IUCN, the International Union for Conservation of Nature, helps the world find pragmatic solutions to our most pressing environment and development challenges"
WMI targets water and land management challenges faced by poor communities in the developing world/or in developing countries and through this contributes towards the achievement of the UN Millennium Development Goals (MDGs) of reducing poverty, hunger and maintaining a sustainable environment. These are also the goals of the CGIAR. 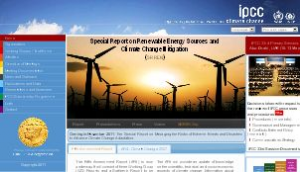 "On January 12, 2012, nearly 500 of the world’s investors and most powerful financial players gathered at the United Nations to showcase their actions and discuss promising trends to catalyze the large-scale investment needed to reduce carbon emissions and mitigate potentially catastrophic climate impacts." The IRENA Renewable Energy Country Profiles take stock of the latest development of renewable energy in two regions where renewable energy can make a significant contribution to combat climate change and bring modern energy services to everyone: Africa and the Pacific. Worldwide marine meteorological and oceanographic communities are working in partnership under the umbrella of the WMO-IOC Joint Technical Commission for Oceanography and Marine Meteorology, in order to respond to interdisciplinary requirements for met/ocean observations, data management and service products. 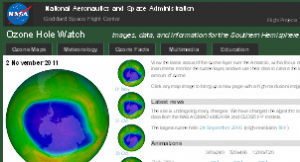 The place to learn about monitoring the weather and climate from space. 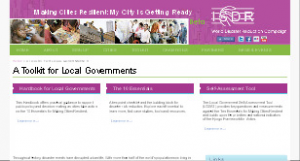 18 April 2012: As part of its Making Cities Resilient Campaign, the UN International Strategy for Disaster Reduction (UNISDR) has launched the Local Government Self Assessment Tool, to support cities in managing disaster risk. UNISDR reports that 2011 was the worst year on record for economic losses from disasters. For an evaluation of the global model performance, modelled gas concentrations are validated with surface in-situ measurements. 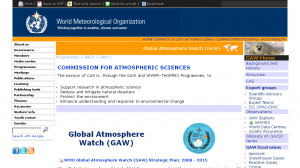 Station data is provided by Global Atmospheric Watch (GAW) stations in near- real-time (submission ranging from 1 day to 1 month). The goal of Many Strong Voices is to promote the well-being, security, and sustainability of coastal communities in the Arctic and Small Island Developing States (SIDS) by bringing these regions together to take action on climate change mitigation and adaptation, and to tell their stories to the world. The Arctic and SIDS are barometers of global environmental change. As they are on the frontlines of climate change, they are also critical testing grounds for the ideas and programmes that will strengthen the adaptive capacities of human societies confronting climate change. 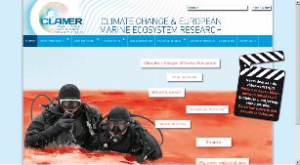 The mission of the Marine Meteorology and Oceanography Programme (MMOP) is to regulate, coordinate and facilitate the sustained provision of global and regional coverage observational data, products and services to address the continued and expanding requirements of the maritime user community for met-ocean services and information, focusing on safety of life and property at sea, integrated coastal management and societal impacts. 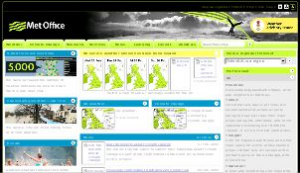 "The Met Office is the UK's National Weather Service. We have a long history of weather forecasting and have been working in the area of climate change for more than two decades." 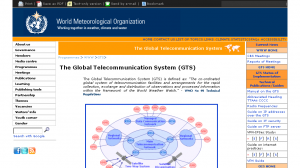 METEOTERM is WMO terminology database. It contains specialized terminology in six languages: English, Arabic, Chinese, French, Russian and Spanish. 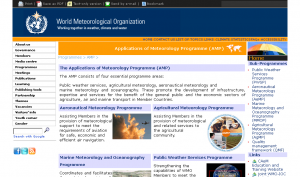 METEOTERM includes the International Meteorological Vocabulary, the International Glossary of Hydrology, the WMO abbreviations and acronyms and terms from related sciences that appear in WMO documents. METEOTERM est la base de données terminologique de l'Organisation météorologique mondiale. Il s'agit d'un recueil de termes spécialisés en six langues: anglais, arabe, chinois, français, russe et espagnol. 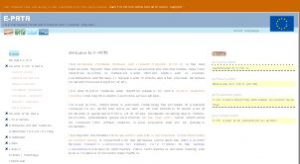 METEOTERM comprend le Vocabulaire terminologique international, le Glossaire d'hydrologie, la liste des abbréviations et des acronymes de l'OMM et certains termes relevant des sciences connexes qui figurent dans les documents de l'OMM. 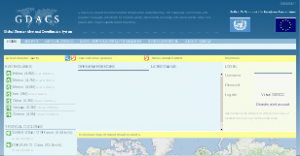 METEOTERM es la base de datos terminológica de la OMM. Contiene terminología especializada en árabe, chino, español, francés, inglés y ruso. METEOTERM incluye el Vocabulario Meteorológico Internacional, el Glosario Hidrológico Internacional y términos de ciencias afines que se utilizan en documentos de la OMM. METEOTEРM — это терминологическая база данных Всемирной Метеорологической Организации. Она содержит специализированные термины на шести языках: английском, арабском, испанском, китайском, русском и французском. METEOTEРM включает в себя Международный метеорологический словарь, Международный гидрологический словарь, а также термины из смежных наук, встречающиеся в документах ВМО. One of the most urgent challenges facing countries across the world today is how to achieve economic prosperity and development while also combating climate change. 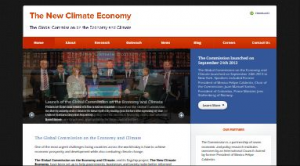 The Global Commission on the Economy and Climate, and its flagship project, The New Climate Economy, have been set up to help governments, businesses and society make better-informed decisions on these crucial issues. 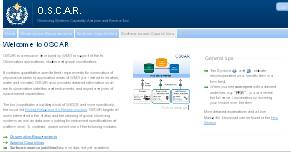 OSCAR is a resource developed by WMO in support of Earth Observation applications, studies and global coordination. 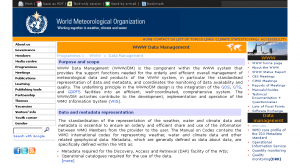 It contains quantitative user-defined requirements for observation of physical variables in application areas of WMO (i.e. related to weather, water and climate). 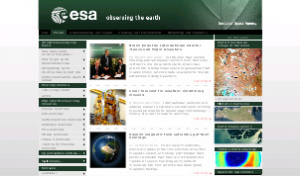 OSCAR also provides detailed information on all earth observation satellites and instruments, and expert analyses of space-based capabilities. 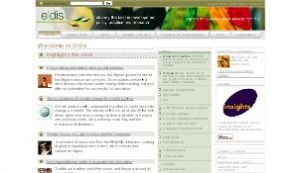 Resources, Frequently Asked Questions section and contacts on this topic. The impact of climate change on our environment, our economies and our security is one of the defining issues of our era. 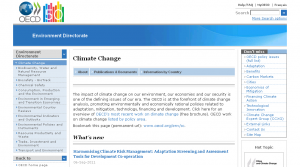 The OECD is at the forefront of climate change analysis, promoting environmentally and economically rational policies related to adaptation, mitigation, technology, financing and development. OCHA is the arm of the UN Secretariat that is responsible for bringing together humanitarian actors to ensure coherent response to emergencies. OCHA also ensures there is a framework within which each actor can contribute to the overall response effort. 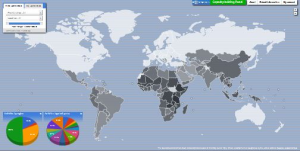 OCHA's mission is to mobilize and coordinate effective and principled humanitarian action in partnership with national and international actors in order to alleviate human suffering in disasters and emergencies; advocate for the rights of people in need; promote preparedness and prevention; and facilitate sustainable solutions. La Organización Panamericana de la Salud (OPS) es un organismo internacional de salud pública con 100 años de experiencia dedicados a mejorar la salud y las condiciones de vida de los pueblos de las Américas. Goza de reconocimiento internacional como parte del Sistema de las Naciones Unidas, y actúa como Oficina Regional para las Américas de la Organización Mundial de la Salud. Dentro del Sistema Interamericano, es el organismo especializado en salud. 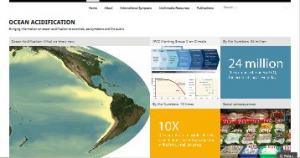 The Pacific Climate Change Portal was developed by the Secretariat of the Pacific Regional Environment Programme, in collaboration with its partners. Regional and national institutions in the Pacific Island region hold a substantial amount of climate change‐related information and tools. 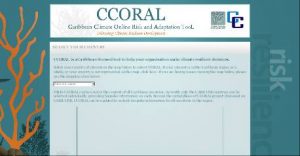 The Pacific Climate Change Portal aims to ensure this information is readily accessible in a coordinated and user-friendly manner. As a key initiative of the Pacific Climate Change Science Program "Pacific Climate Futures" assists decision makers and planners in 15 partner countries of the Asia-Pacific region in understanding how their climate has changed and how it may change in the future. The Pan American Health Organization (PAHO) is an international public health agency with 100 years of experience in working to improve health and living standards of the countries of the Americas. It serves as the specialized organization for health of the Inter-American System. It also serves as the Regional Office for the Americas of the World Health Organization and enjoys international recognition as part of the United Nations system. Partnerships in Environmental Management for the Seas of East Asia (PEMSEA) continues to build and strengthen coastal and ocean governance in the seas of East Asia through intergovernmental, interagency and multistakeholder partnerships. 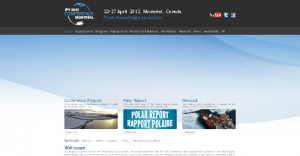 The WMO Polar Observations, Research and Services (PORS) activities promote and coordinate relevant programmes that are carried out in the Antarctic and Arctic regions by nations and by groups of nations. 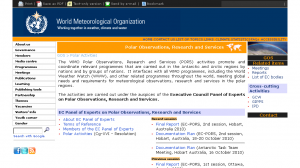 It interfaces with all WMO programmes, including the World Weather Watch (WWW), and other related programmes throughout the world, meeting global needs and requirements for meteorological observations, research and services in the polar regions. Le portail de la Commission économique pour l'Amérique latine et les Caraïbes (CEPALC) offre un accès libre à un large choix d'articles, de rapports et de livres mais également d'items statistiques sur le développement social dans cette région du monde. La CEPAL es una de las cinco comisiones regionales de las Naciones Unidas y su sede está en Santiago de Chile. Se fundó para contribuir al desarrollo económico de América Latina, coordinar las acciones encaminadas a su promoción y reforzar las relaciones económicas de los países entre sí y con las demás naciones del mundo. While climate change poses a number of risks to vulnerable communities and businesses around the world, many opportunities are unfolding for private companies to implement actions towards reducing risks to their business operations, as well as investing in adaptation action in vulnerable regions in a sustainable and profitable manner [...]. Créé en 1962, le PAM œuvre pour un monde où chaque homme, femme et enfant a accès en permanence à suffisamment de nourriture pour mener une vie saine et active. Pour atteindre cet objectif , nous oeuvrons, aux côtés de nos agences onusiennes partenaires basées à Rome – L’Organisation des Nations Unies pour l’Alimentation et l’Agriculture (FAO) et le Fonds International pour le Développement Agricole (FIDA) – ainsi que nos gouvernements et ONGs partenaires. Le PNUD est le réseau mondial de développement dont dispose le système des Nations Unies. Il prône le changement, et relie les pays aux connaissances, expériences et ressources dont leurs populations ont besoin pour améliorer leur vie. Nous sommes présents sur le terrain dans 166 pays, les aidant à identifier leurs propres solutions aux défis nationaux et mondiaux auxquels ils sont confrontés en matière de développement. Pour renforcer leurs capacités, ces pays peuvent s'appuyer à tout moment sur le personnel du PNUD et son large éventail de partenaires. La mission du Programme des Nations Unies pour l'environnement est de montrer la voie et d’encourager la coopération pour protéger l’environnement. Elle se doit aussi d’être une source d’inspiration et d’information pour les Etats et les populations et un instrument de facilitation leur permettant d’améliorer la qualité de leur vie sans toutefois compromettre celle des générations à venir. 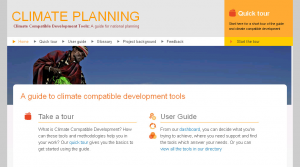 Discover and learn about protected areas. Launched with the support of leading scientists and decision-makers, PROVIA responds to the call for a more cohesive and coordinated approach to harmonize, mobilize, and communicate the growing knowledge-base on vulnerability, impacts and adaptation. 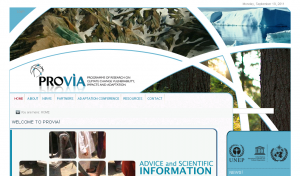 The PROVIA website provides an interactive platform for a growing network of scientists, practitioners and decision makers working towards identifying knowledge gaps and meeting policy needs in vulnerability, impacts and adaptation research. 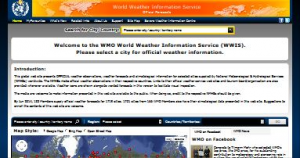 The purpose of the WMO Public Weather Services Programme (PWSP) is to strengthen the capabilities of WMO Members to meet the needs of society through provision of comprehensive weather services, with a particular emphasis on public safety and welfare, and to foster a better understanding by the public of the capabilities of their respective National Meteorological and Hydrological Services (NMHSs), and how best to use the services that NMHSs deliver. - Menunjang penyelenggaraan penyediaan tenaga ahli pengelola Sumber Daya Air melalui kegiatan diseminasi teknologi. 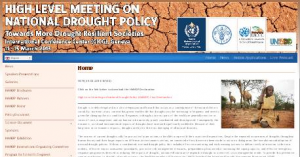 The overall objective of the Regional Programme (RP) is to ensure the efficient and effective functioning of the six Regional Associations of the Organization in coordinating meteorological, hydrological, climatological and related activities of their Members. The RP provides a framework for regional cooperation in the implementation of the WMO strategies, policies and programmes taking into account regional requirements, capacities and priorities. The SEED Initiative is a global partnership for action on sustainable development and the green economy. The goal of SEED is to support the ability of such entrepreneurs to scale up or replicate their activities. This furthers their contribution to their local economies and communities while promoting sustainable management of natural resources and ecosystems and reducing poverty, marginalisation and exclusion. Ce site présente les observations, la climatologie et les prévisions officielles pour un certain nombre de villes fournies par les services météorologiques et hydrologiques nationaux. Les services météorologiques nationaux réalisent les observations météorologiques dans leur pays respectifs. Des liens vers leurs sites web ainsi que vers les organisations touristiques sont fournis quand cela est possible. Un pictogramme accompagné d'une courte phrase résument le temps prévu pour une journée. 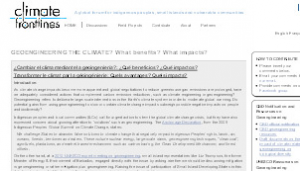 En este sitio Web se presentan observaciones, predicciones y datos climatológicos OFICIALES de un cierto número de ciudades proporcionados por los diferentes Servicios Hidrológicos y Meteorológicos Nacionales, que realizan las observaciones en sus países respectivos. También se ofrecen, cuando es posible, enlaces a sus páginas oficiales y de información turística. Las predicciones para cada jornada se expresan mediante un símbolo y una frase corta. Los medios de comunicación pueden hacer uso de la información contenida en este sitio citando siempre la fuente. Recopilar, centralizar y procesar la información de las estaciones meteorológicas, hidrológicas, agrometeorológica y ambientales. Organizar, fomentar y dirigir estudios técnicos especializados en el país, ejecutados por entidades nacionales o extranjeras. Divulgar información técnica y científica. Realizar y formular estudios de investigación, acorde con las necesidades del país y la defensa nacional. 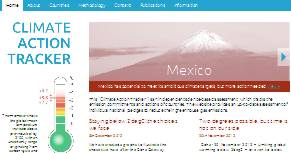 Participar en estudios científicos y proyectos del medio ambiente atmosférico. HOMS es la sigla en inglés del Sistema de Hidrología Operativa para Fines Múltiples, creado por la Organización Meteorológica Mundial para la transferencia de tecnología en hidrología y los recursos hídricos. 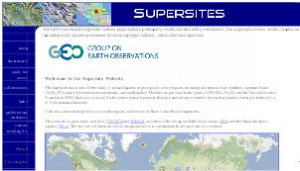 The Supersites have data for the study of natural hazards in geologically active regions, including information from Synthetic Aperture Radar (SAR), GPS crustal deformation measurements, and earthquakes. The data are provided in the spirit of GEO, ESA, NASA and the National Science Foundation (NSF), that easy access to Earth science data will promote their use and advance scientific research, ultimately leading to reduced loss of life from natural hazards. SHOFM est l'acronyme pour le système hydrologique opérationnel à fins multiples établi par l'organisation météorologique mondiale pour le transfert de technologies en hydrologie et ressources hydriques. 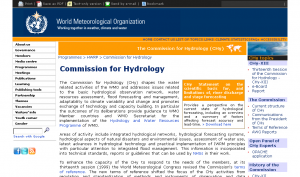 The Commission for Hydrology (CHy) shapes the water related activities of the WMO and addresses issues related to the basic hydrological observation network, water resources assessment, flood forecasting and management, adaptability to climate variability and change and promotes exchange of technology and capacity building. In particular the outcomes of its deliberations provide guidance to WMO Member countries and WMO Secretariat for the implementation of the Hydrology and Water Resources Programme of WMO. 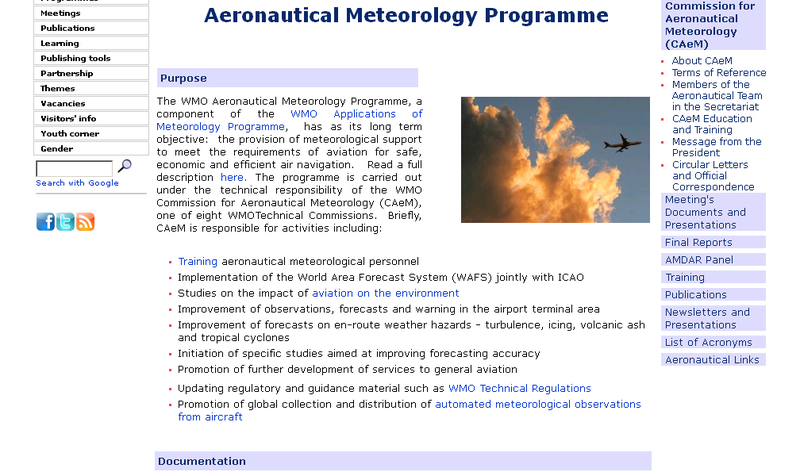 Technical Cooperation ensures, through collaborative efforts of Members, for their mutual benefit, the enhancement and development of the capabilities of the National Meteorological and Hydrological Services (NMHSs) so that they can contribute to and participate efficiently in the implementation of WMO Programmes, for the benefit of the global community and in support of national socio-economic development activities. TIGGE-LAM currently groups five European ensemble systems in a standard data format, and five more will be added in the near future [see table]. 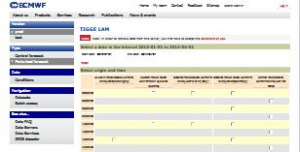 TIGGE-LAM is an extension of the THORPEX Interactive Grand Global Ensemble (TIGGE) archive to include weather forecasts from limited area model (LAM) ensembles. These forecasts are produced on grids between 10 and 2 km resolution and provide detailed information for the short range, up to a few days ahead. This complements the larger-scale information provided by the global data in the established TIGGE archive. The Trade Knowledge Network (TKN) is the collaboration of research institutions in developed and developing countries located in Africa, Asia, Europe and the Americas. The Trade Knowledge Network is aimed at building long-term capacity to address issues of trade and sustainable development in developing country research institutions, non-governmental organizations and governments through increased awareness, knowledge and understanding of the issues. 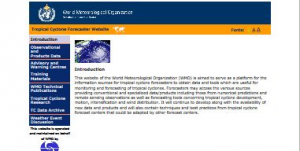 Development of the Tropical Cyclone Forecaster Website was under the WMO TCP Sub-Project No. 24 which was established in response to a recommendation from IWTC-IV (Haikou, Hainan, China, 1998) and IWTC-V (Cairns, Australia, 2002). The Tropical Cyclone Programme is a part of WMO's Weather and Disaster Risk Reduction Services Department tasked to establish national and regionally coordinated systems to ensure that the loss of life and damage caused by tropical cyclones are reduced to a minimum. 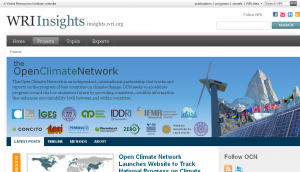 This Platform aims at providing comprehensive guidance on financial options available for climate action in developing countries. Here you can find information on where to access the wide range of funds available from multilateral and bilateral institution, as well as public and private sources. Learn more on how these funds are governed and whether your project is eligible. Users are invited to be a resource to share their experiences with investment projects and offer feedback and comments on ongoing projects. 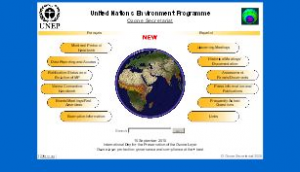 UNEP Global Environment Alert Service (GEAS) is a mechanism for identifying, selecting and communicating early warning information on emerging issues to decision makers on a regular basis across the following UNEP's focus areas. "L’UICN, Union internationale pour la conservation de la nature, aide à trouver des solutions pratiques aux problèmes de l’environnement et du développement les plus pressants de l’heure"
"La UICN, Unión Internacional para la Conservación de la Naturaleza, contribuye a encontrar soluciones pragmáticas para los principales desafíos ambientales y de desarrollo que enfrenta el planeta"